Check here for blog candy alerts! I love the adorable, cute and fun stamps at Digi Stamp Boutique. They have a fun kitty they are giving away. Go to Pickled Paper Designs to check out a fantastic blog candy giveaway just in time for Christmas. Oh, and while there, you’ll definitely want to browse her blog. She does fantastic work! Check out this really fun blog candy. Ann V. does some fantastic work with her cards. Coloring is amazing, glitz is delightful and accessories are over the top. Hurry, the blog candy expires soon! If you are looking for a colorful blog, I recommend you visit Marlene at Disguised as a Grown Up. She’s got great cards and even better commentary. I think maybe she’s a professional comedian. Her blog will bring a smile to your face and a giggle to your life. Of course, I’ve only just now found her blog and cannot be held responsible if her writing style offends. I can’t resist telling everyone about blog candy from one of my inspirations in London. The Magic Box lady of all ladies is giving away some of her magic. 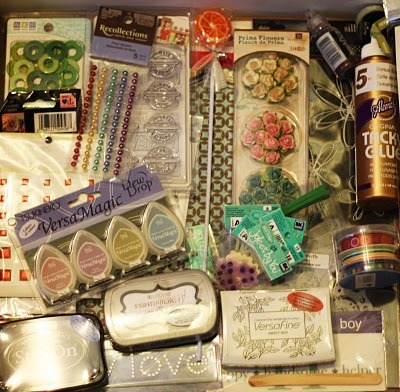 Elaine creates the most amazing magic boxes and is giving away a stash of fun on her blog – magic-boxes.blogspot.com. Head over there before February 26th for a chance to win! While there, check out her awesome and very thoughtful, not to mention thorough, tutorial! What a dream come true to learn how she makes her magic boxes sparkle! Marvelous Michelle is giving away some stampin’ up blog candy. But even if you don’t win, her fabulous blog will surely inspire. This is one of the first blogs I started following….and I’m still following this gals stuff. Ms. Z takes stamping to an art form. Check out her blog. There’s this great blog that teaches various techniques…and has adorable cards and 3D projects. Check out the Classroom. They make cards, gift bags, boxes, slippers, cowboy boots…so cute. Lovely blog and great prize. A truly inspriational site. Whiff of Joy is a beautiful line of artwork and they are giving away 8 new designs….before they are available for purchase. If you aren’t familiar with Whiff of Joy, check out the blog – simply beautiful. Tim Holtz is having 12 tags of Christmas. He specializes in grunge and is a phenomenal artist. He has a great product line, too. But, I’m mentioning him here because he’s giving away blog candy every day from December 1st thru 12th. Waa hoo. Want to know who’s blogs I love? Here’s one that’s giving away blog candy. Sandy MacIver is a Stampin’ Up rep who does some really amazing things. And she has great tutorials. Check it out. She’s giving away $50 in stampin’ up product! Yaaa Hoo! I’m not a stampin’ up rep but I do love their stuff. I follow Andrea Walford‘s work extensively. I’m on her email list, I’m a follower and I rss her blog to my Google Reader. I love her work. And her sister’s work, too. Check out the fun template candy she has on her site. One of my all time favorite stamp designers is having some blog candy. There are three prizes up for grabs. And if you follow her blog and follow on facebook then you get two extra chances to win. Rush over to Denami stamps blog to register. She’s got stamps, ribbon and buttons, oh my. Did I mention this is one of my favorite stamp companies? Oh, yeah. I did. Unfortunately, I don’t have very many stamps of hers yet…cause I recently found her product. To see it is to love it! If you want a good chuckle, head over to CaroleAnne’s blog. She’ll have you chucklin’ in no time. Her writing style is cute, cute, cute. She has a little blog candy. She’s a stampin’ up rep. So it’s a good blog to visit if you’ve got a few stampin up sets in your cabinet. Hurry over to Paper Crafts by Rach. She has a cute santa stamp that she’s giving away…and she highlights a card made with the stamp. It’s simply divine. This girl can color with the best of them. More like the best of the best of them. Hurry. Wow, there is so much blog candy…I can’t even keep up. So much so…I get a candy overload and don’t even enter! =) Below is blog candy I’ve found before my overload. Denami Stamps blog candy is awesome. If you aren’t hooked on Denami images…I can only imagine it’s because you haven’t been introduced to them yet. I love, love, love this company. And it’s one of the few I’ll pay full price for! They are giving away a $50 gift certificate. Wow. Good stuff! You can enter multiple times by following their rules. Check it out! Gallery – Oooo la la! I don't post articles on a particular schedule. So, follow my blog via your RSS Reader.